Come along to our first meetup of 2019 and celebrate Lunar New Year at the Gallery. The festivities begin at 6pm with a traditional lion dance in the Entrance Court. Following the dance, we will meet at the entrance to the exhibition Chinese Bible where we will hear from Yin Cao, the Gallery’s curator of Chinese art and Dr Gene Sherman AM, Founder and Director, Sherman Centre for Culture & Ideas (SCCI) and campaign donor for Sydney Modern – as they discuss collecting, conservation and exhibition of this significant artwork. Join us following the talk in the Australian Galleries for drinks. 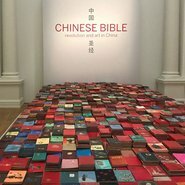 Meet at the entrance to Lowy Gonski Gallery, where Chinese Bible is exhibited following the lion dance at 6:15pm.